Aly McKnight is all about the birds. “I fell in love with birds when I took ornithology at UMass,” says McKnight, who lives in Winterport. Little did the 44-year-old know back in 1999 that her passion would lead to valuable research about our planet’s ecosystem. The lifestyle of a seabird biologist also includes struggles between science and politics. “It’s very hard to get funding for just the kind of long-term monitoring essential to tracking and planning for ecosystem changes. Science seems to be valued less and less in the current political atmosphere, but it’s really our best hope in climbing out of the brewing environmental disasters we are facing,” she says. 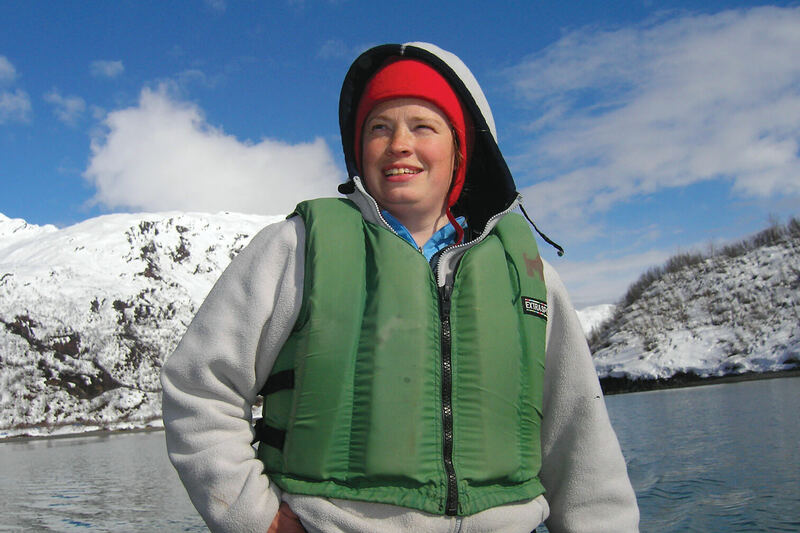 McKnight, who has a PhD in ecology and environmental science, brings this hands-on knowledge back to the classroom at Unity College where she is a visiting assistant professor and a researcher with the Gulf of Maine Coastal Ecosystem Survey. Her work has been shared in National Geographic along with numerous agency reports and peer-reviewed publications. “I’m really just getting started,” she says. Anne Gabbianelli is a veteran journalist and educator. She teaches at the University of Maine Augusta and Eastern Maine Community College in Bangor. Aside from sharing her passion for writing and communication with her students, she enjoys telling people’s stories.